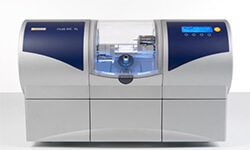 There are two separate components to a CEREC unit. It is a CAD and a CAM technology, commonly referred to as CAD/CAM or CAD/CAM dental restorations. CAD is the acronym for Computer Assisted Design whereas CAM is the acronym for Computerized Assisted Milling. 1. The InEOS X5 The most innovative scanner. Featuring a robot arm, innovative model positioning, the latest scanning technology and an open interface, the 5-axis inEos X5 can transfer the impression to the digital impression file in STL format. 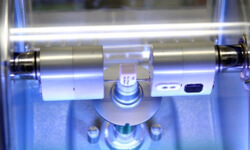 This unique operating concept has been programmed to ensure maximum efficiency for all scanning tasks and is augmented by the manual scanning option. 2. 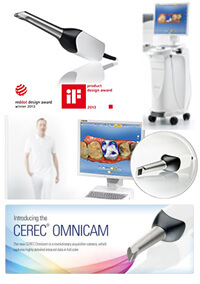 The CEREC OMNICAM The unrivalled handling, powder-free scanning and precise 3D images in natural color. This small sized camera is used to capture images of your tooth from various angles. At Sea Smile dental clinic we use the latest camera technology that utilizes video imaging rather than still images to capture the images without the need of any dental spray powder formerly used by the older type cameras and this can provide the Precise 3D images in natural color. When this digital scanning with 1 of 2 options is completed, we will draw out the margins where your final restoration would end and compare it to the actual preparation that we have made on your teeth, and the final image will be then sent via an electronic file to a CAM unit for the final milling. 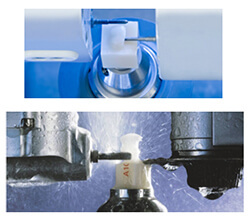 There are a few different types of milling units available but the best and well tested CAD/CAM units are made by Sirona / Germany as it has the longest history and research behind it. With over 95% survival rate on all of the dental restorations ever made, Sirona system was selected by our dental clinic to provide the best outcome for our patients. 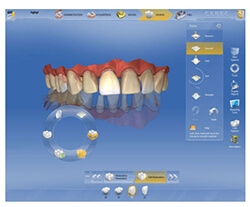 The CEREC software facilitates the easy editing of the virtual restoration for the most reliable result. We can work simultaneously on several different restorations in the same time and the design tools can be applied to contralateral teeth in two different quadrants. This produces highly esthetic and accurate results. Moreover, with the articulator function, we can determine both the static and the dynamic contact surfaces and achieve correct functional occlusion. 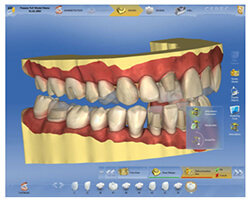 The software shows the complete paths of your jaw movement. There are different types of milling units available in the market-place today, but again CEREC3D INLAB system has proved to be the most reliable unit. The milling units have significantly improved over the years. The new advancement in technology leading the way by Sirona dental come in smaller sizes than before. This latest INLAB MC XL milling unit has 5 axis of cutting , not just 3 or 4 axis of cutting like the old version, to provide you the most accurate result. The milling process can take anywhere from as little as 30 minutes (depending on the exact technology and complexity of the tooth). Our ISO 9001 certified dental lab in Phuket is equipped with a commercial milling unit for larger dental cases involving multiple teeth. We also routinely mill dental restorations for other dental clinics in Phuket or out of the area. The INLAB MC XL milling unit is much faster in milling process and makes it an ideal choice when there are multiple dental restorations that must be milled.